Hailed by many as the best Zelda game since 1998's Ocarina of Time, Twilight Princess thrusts players into a troubled world ravaged by a dangerous magic. Link is ordered by the mayor to attend the Hyrule Summit, oblivious to the fate that descended upon the kingdom. Players will explore the vast land of Hyrule and enlist the aid of companions to solve puzzles and battle his way through dangerous dungeons. Many puzzles stand between Link and the fulfillment of his quest, so players must sharpen their wits as they hunt for weapons and items. Ride into battle against troops of foul creatures and use Midna's magic to bright light to the land. This is the best version of the best Zelda game. Amazing game, look like brand new. All the products that I have ordered at Luckie games have always been in perfect condition. Amazing game and in perfect condition. I got it fast and haven't stop playing it yet. I recommend this game to any Zelda fan, I always find something good at lukie games, and recommended this site to everyone. Fantastic game. Game came in perfect condition. I buy off luckie lots and this game satisfies. Fully recommended. 11 years later and I’m finally playing it. One of the very few Legend of Zelda games I’ve never played sadly. But it’s amazing! I’m regretting waiting for so long... Lukie Games thank you and thank you for your 10/10 service as always! Game works great, game got here fairly fast, game is complete and the game is splendid! Arrived sooner than expected and in perfect condition. I order frequently from Lukie Games quality products shipped to Canada very quickly. One Zelda game to rule them all! One of the greatest Zelda games of all time! Not only does it look like a PS2 game graphics-wise, but it also plays really well. The story and artwork are quite a bit darker than most Zelda games, but I think that's a good thing. It's a lot more emotional too. The sword techniques you learn are really fun to use, and the items are also pretty neat. This game's rendition of Hyrule is one of my all time favorites. It's massive, beautiful, and diverse. I'd highly recommend this to any Zelda fan --or even any non-Zelda fan (if there are any). Condition of game was perfect. The game was great. I'll probably shop here again. Awesome game. I ordered this game and next thing I know its in the mailbox waiting to be played. Best place to buy any hard to find Zelda game! One of the greatest games ever created. I am in love with the Zelda franchise and this game kept my love strong! Classic game, worth picking up! This is the most awesome game ever!!! The graphics are amazing. The game lasts a very long time. You get so much that's new in this one. It's not the same things over and over. I wish they would do more like this! Loved this game!!! Couldn't get enough of it! 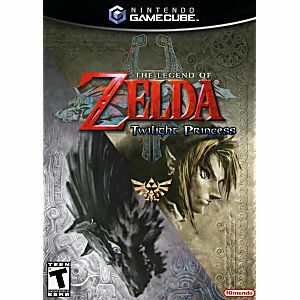 Twilight Princess is great as it brings back the old look from the nintendo 64 games. It gives a new twist of having two worlds, but I'll let you figure it out as you play it. 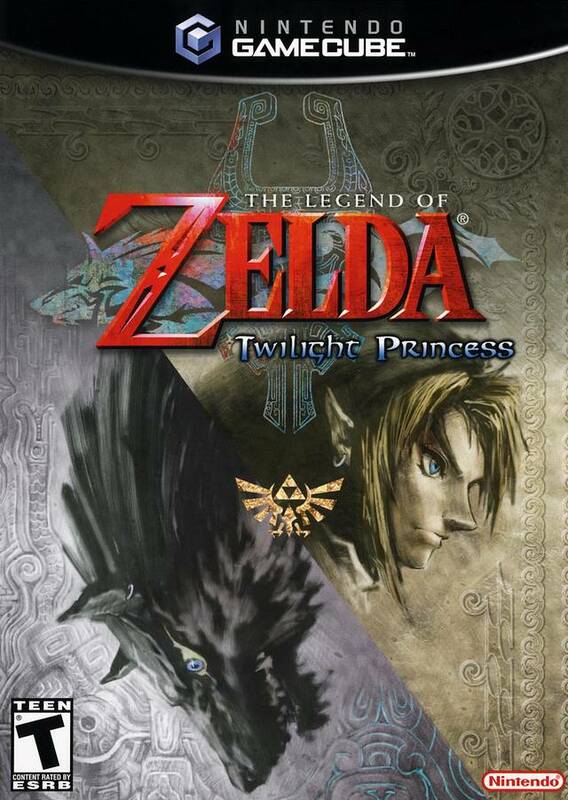 Just know that you can't complete your list of Zelda games without this one!